A high-end precision engineering company in Rotherham has invested significantly in its existing machinery to meet its full order book for the coming years. Newburgh Precision Limited has used two six-figure funding packages from Lombard Asset Finance to reinvest in and refurbish its machinery assets. The investment will increase the company’s capabilities and ensure maximum productivity as it continues to operate across various sectors, including defence, power generation, oil and gas. 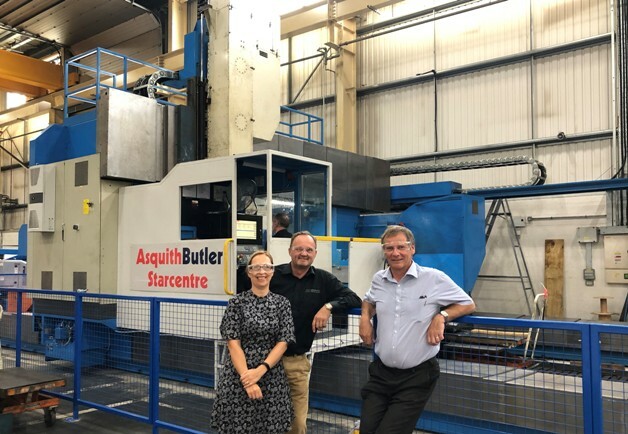 Part of the funding has facilitated the refurbishment of the company’s Asquith Butler Gantry Mill, used to machine various products for the defence and nuclear sectors, saving at least £500k in comparison to the cost of replacing the existing machine. Founded in 2014, Newburgh Precision Limited operates from purpose-built premises in Rotherham. The company currently employees 75 staff with ambitions of becoming a 90-strong team by 2019. Plans for further investment in existing machinery and facilities are already underway, with another machine currently on order and installation planned for February 2019.